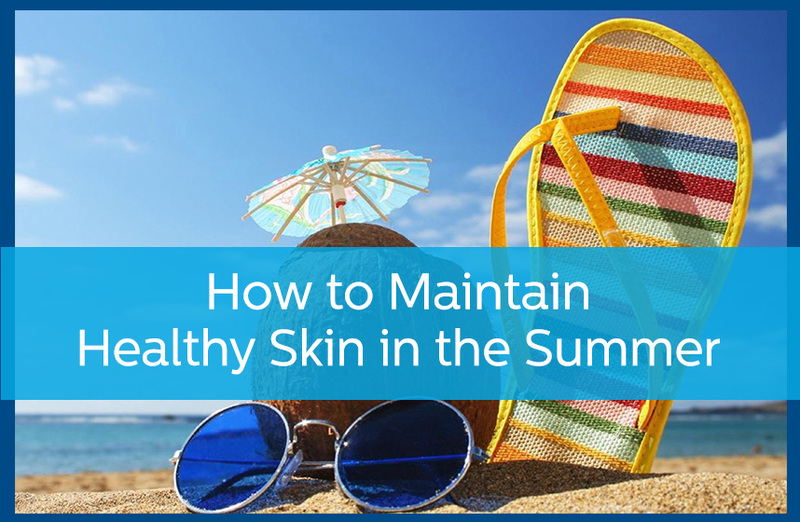 The heat isn’t exactly great for your skin, and between the long days and humid weather, it can be easy to neglect your skin care routine during the summertime. Taking care of your skin doesn’t have to be complicated. By incorporating just a few simple strategies into your daily routine, you can help your skin look and feel its best all summer long. 1. Always wear sunscreen. A lot of people only put on sunscreen when heading to the beach or the pool, but in actuality sunscreen is necessary every time you step out into the sunshine. Even on cloudy days, make a habit of putting sunscreen on to protect your skin from absorbing too many rays. 2. Skip the tanning bed. Obtaining a glowing tan within a day may be tempting, but the tanning bed is not going to help your skin be healthy. You get enough sunshine just walking across the parking lot on particularly hot summer days. Don’t stress your skin out with the tanning bed. 3. Moisturize every day! You wouldn’t go a whole day without drinking water during the summer, so why would you expect your skin to deal just fine without being hydrated? Moisturize every day to prevent your skin from drying out due to the heat. The summer is supposed to be the season of fun. There are plenty of reasons to feel comfortable in your skin this summer. So, whether you are spending a day near the water in your favorite bathing suit or are ready to tackle some errands around town in your shorts and tank top, go forward feeling comfortable and confident in your skin. Need professional advice on how to treat your skin in the summer heat? Contact Avail Dermatology today and schedule an appointment with us. Ways that Diet Affects Your Skin How Can Pregnancy Affect Your Skin?